#FRENCHTECHFRIDAY: Enter pro-gaming with esport-management. E-sports is not just play. Training is intensive both solo and in team. Balancing schedules, competitions and career management is not obvious for young players. 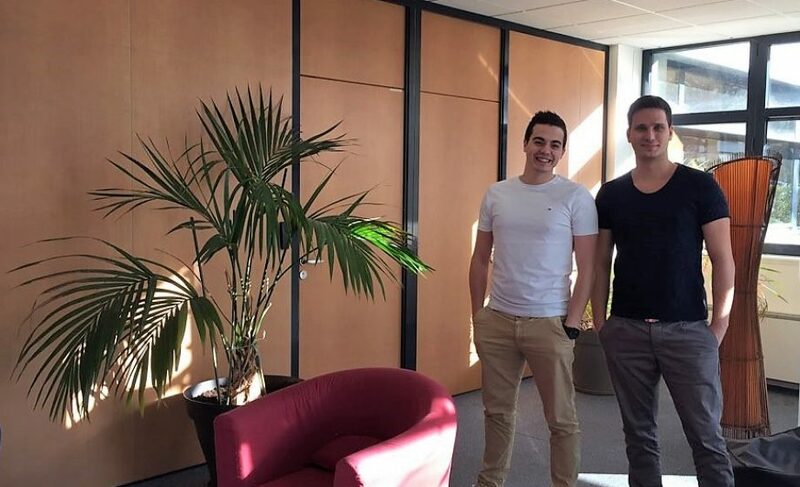 Two ex-players Tristan Berguer and Guillaume Golfieri had the perfect insights and came up with a solution: Esport-management. Tristan and Guillaume don’t waste time. They came up with the idea in March 2017, found business angels right away and launched in May. They got facilities in June and released the Beta in October. 48h later, they already had 500 members. Less than a year later, they are considering international development. That includes setting up local branches in the US, China, Japan and Korea… before the end of 2018. Did I go too fast? What are the e-sports player issues? Let’s take some time to reflect on an e-sports player’s issues. Obviously, he/she must be a good player. This term alone is vague. How can one assess his strengths and weaknesses? Not all players have the same style and this is good for a team, when each players compensates the others’ shortcomings. But how to you set up a balanced team? If you’re not at your best level, how do you improve? Right before a competition, how do you analyze the opponent’s strategy? How do you manage the team’s accomodation and transport? But one of the leading issues remains time-management. Balancing high level training with work and/or studies. Esport-management is a service that will cover all aspects of pro-gaming. The newly registered gamer will first get assessed on the game of his choice (about 20 games right now, but the service will soon cover them all). Not only will he know what his level is but he will get a custom training schedule to work on his weaknesses. His credencials will be available for teams looking to recruit. Resumes will be created. If the team is already set up, esport-management will also organize training sessions, strategy analysis and help with the logistics of competitions. In the new version coming up next April, a marketplace will make its way to the platform to offer the perfect gamer toolkit. Going from seats to mice, glasses and keyboards. This very young service is free to use for the time being. Its international deployment will turn it into a freemium model where the more advanced features will require a fee. The team is already counting 15 souls and the founders are in need of a good dev to join them in Nice (hint, hint, nudge, nudge…). A fund raising is closing late March and they expect to reach a million members by the end of 2018. Competition is scarce. Only a Ukraine company offers some of the features of esport-management, namely the recruitment part. Eventually, esport-management will include entities likes sponsors that wish to have their own team. They will gather all the key actors of pro-gaming: players, sponsors, partners, structures and specialists. Among the many features coming up, there is the possibility to play the games from within the platform. Once the player is logged in, there will be no need to exit: games, marketplace, even transport reservations will be possible. The team is thinking big but it’s only fair in an e-sports business that has grown by 390% within the past 3 years. As everything in e-sports, and despite first impressions, this is all hard work and Tristan gives us his favorite saying: “the dictionnary is the only place where “money” comes before “work”. Let’s keep a close watch on esport-management, it’s on its way to become the home of the best players worldwide.